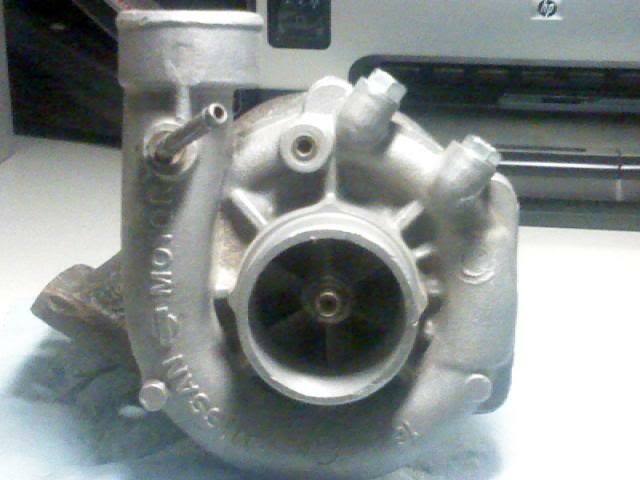 hey all I have a nissan turbo off of a rb26det I bought it to slap on my bmw but ended up running a t3/t4 instead. The guy I bought it from said he had just had it rebuilt. there is no shaft play and it is in pristine condition. looks like it is BRAND new. he never used it I mounted it but never used it and well I am in need of cash so my plans of slapping it on my other bmw are out the door and your in luck I paid 325 for it. I know I wont get that back. In these rough economic times we all have to sacrifice a little I guess so I'm gonna say 250 or best offer. make a offer I might just say sure why not! I dont know much about the a/r or sizing but I am waiting for a call back from a nissan tech buddy of mine who is supposedly getting all the stats on it and I will put them up tomorrow. anyway happy shopping! I do know it has a t3 flange and is oil and water cooled I was just gonna run oil only and plug the water but thats up to you. 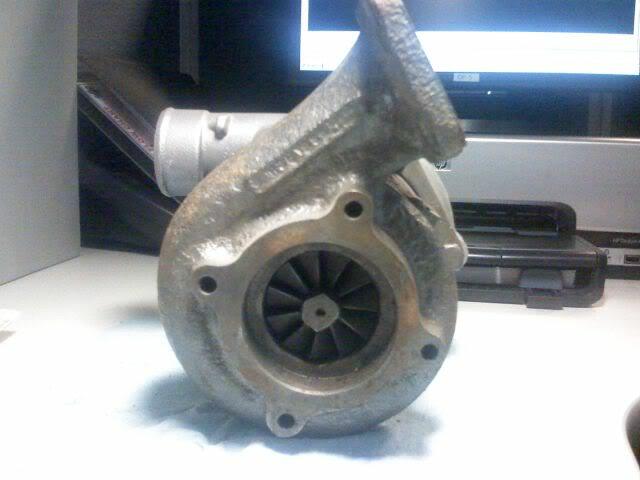 Who the hell rebuilds a turbo and leaves a huge chunk of the old return gasket and rtv on the return flange? It was definitely rebuilt as you can tell from the bead blasting, but that old gasket material makes me wonder a little. I think that's either the T3 50 or 60 trim variant off the older 300z's. A little research would say for sure. IB the real turbo geniuses could say what the compressor was just from looking. It most definitely looks to be a 68 trim T3 turbine wheel. as I said I mounted the turbo but did not have the motor completed and once I completed I went to a 48 trim for off throttle boost. it is a t3 exhaust and my friend did confirm it was used in 300z's and rb26's for a short period. 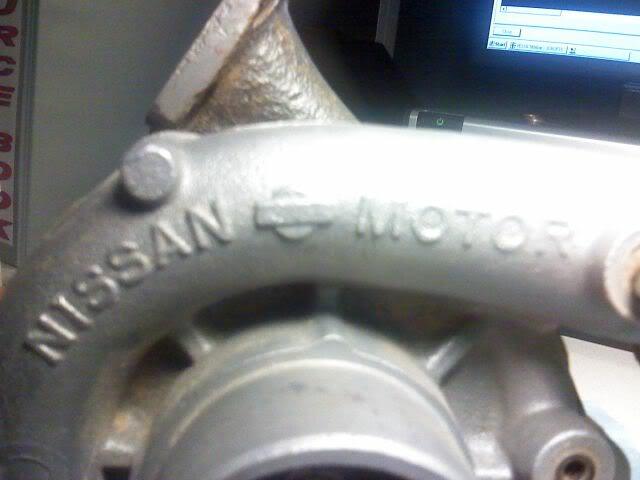 and was also used on a jdm only diesel veh don't remember the name. other than that I am still waiting on more info on it but wanted to get the for sale thread up so if interested let me know. im interested just need to know the specs on it to see if its possible for me to use. 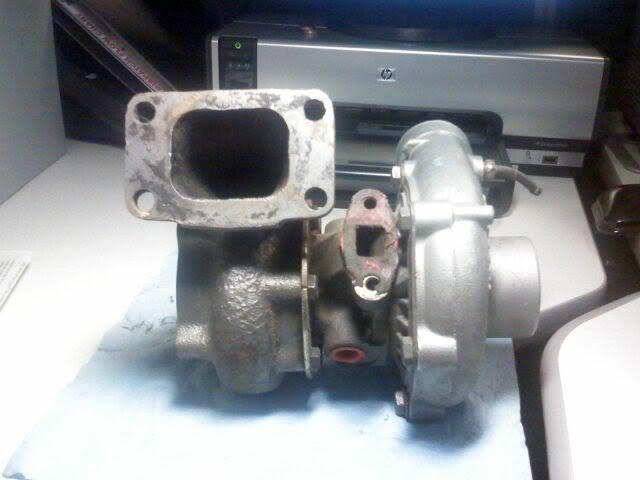 Junkyard Turbo parts for sale! 14B,Hf-STD Mani, Intercooler!